I wanted to like this movie more than I really did. I think that I have seen better versions of the whole human becoming a computer or computer becoming sentient in other places. 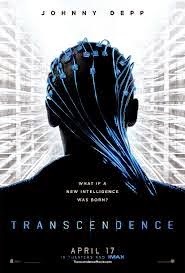 The movie was not all that bad but it seemed to be yet another narrative of how people are afraid of things like artificial intelligence and of machines taking over the world. The story is about a scientist who dies and has his memories / intelligence digitally captured by his wife. The premise was not bad but I felt the story lacked imagination and was a great waste of Johnny Depp's acting ability. I thought that the flick was much in need of editing - this was really a ninety minute movie that went close to two hours. I neither hated or loved this movie and, on a scale of ten, give it ★★★★★. We felt it was just okay, nothing to write home about! I wanted to like it, I love Johnny Depp. I agree Debby. Could have been so much better.